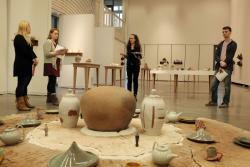 Professor Linda Sikora of Alfred University teaches in The College of Ceramics. 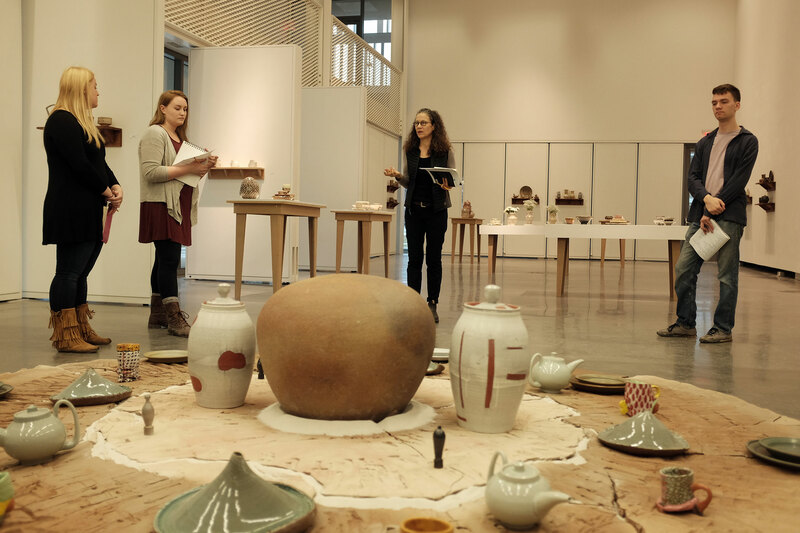 The program includes a graduate program where conceptual thinking elevates the approach to clay. Featuring glass artist Mark Mitsuda, Navajo weavers Barbara Teller Ornelas and Lynda Teller Pete, glass artist Therman Statom and ceramic artist and Alfred University professor, Linda Sikora. These artists/teachers are a special breed. By day they are found in classrooms and workshops ensuring that their hard­earned wisdom and practical skills are passed on. Across the country these craft artists are dedicated to education – inspiring, evaluating, critiquing and praising their students’ achievements. Learn more.